Incorporate sleek design into your casual collection with this shirt from Flaunt. 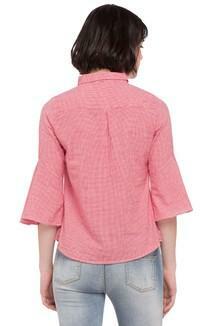 Made from good quality fabric, this shirt is lightweight. 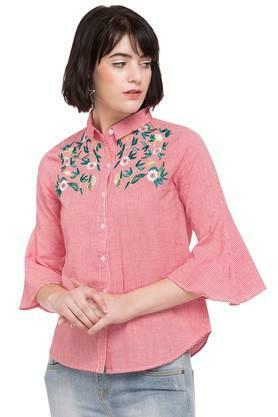 Featuring a collar, bell sleeves and embroidered pattern, this shirt possesses a stunning gracefulness. 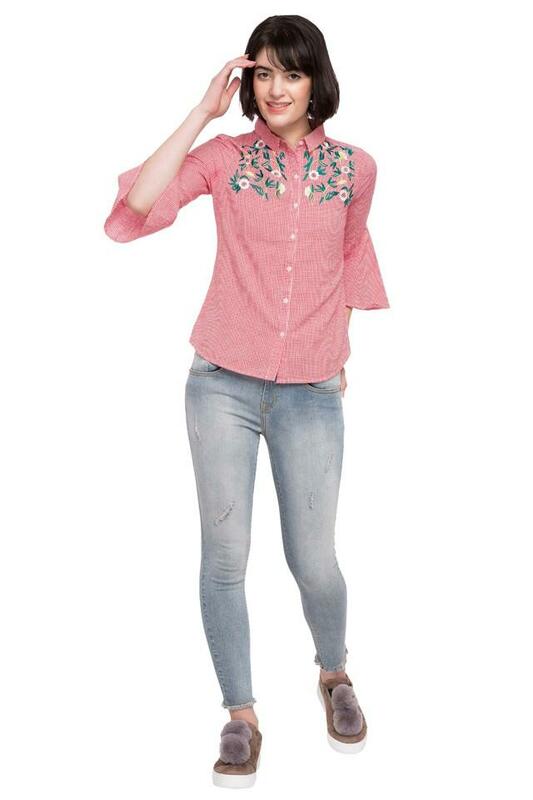 Add an extra dose of style with this shirt. 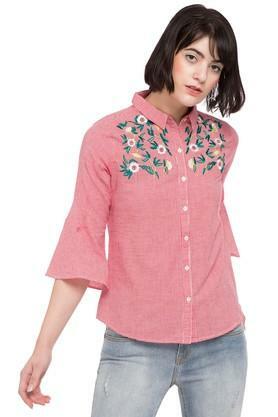 Create a sophisticated style by teaming this shirt with a pair of blue jeans and strappy sandals.